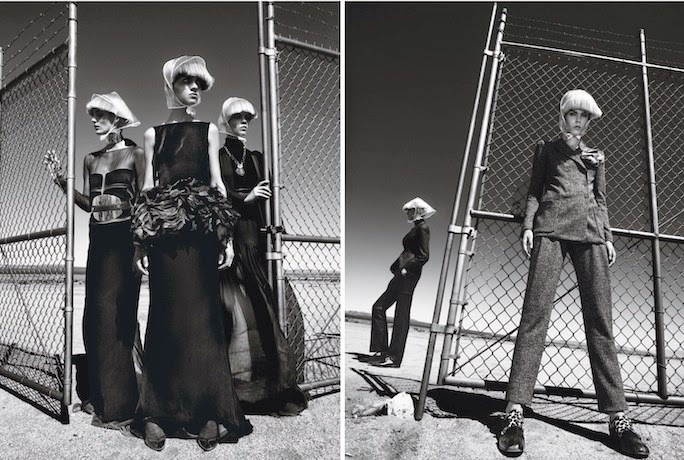 Whoever says fashion isn't art obviously hasn't seen Patrick Demarchelier's photography. 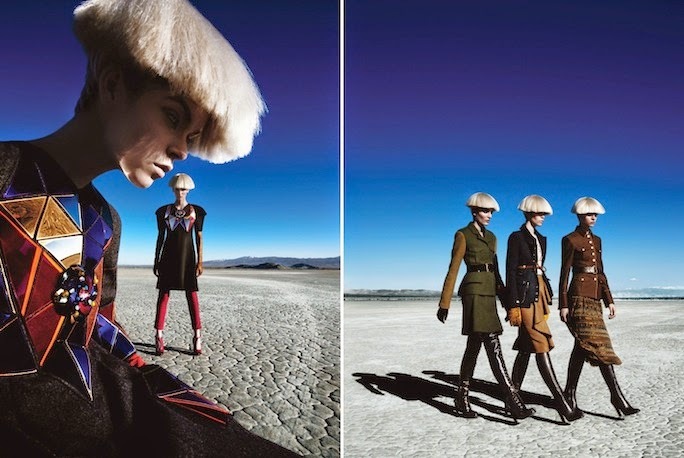 Shot in the Mojave Desert and posed as style soldiers, these futuristic stylbots were captured by Demarchelier for the fashion editorial "Fierce Creatures" in the August 2012 issue of W Magazine. Beautiful objects aside, one must question the confinement of modern fashion "rules" and style dictated by invisible editors. Wa, looks very cool! Hair is amazing!